Even though I still had three weeks of travelling left, it still felt like the beginning of the end as I touched down in Sri Lanka. It was now September (so I was officially going home this month) and I was heading west again for the first time in a while. That being said, it was with great excitement that I touched down here. 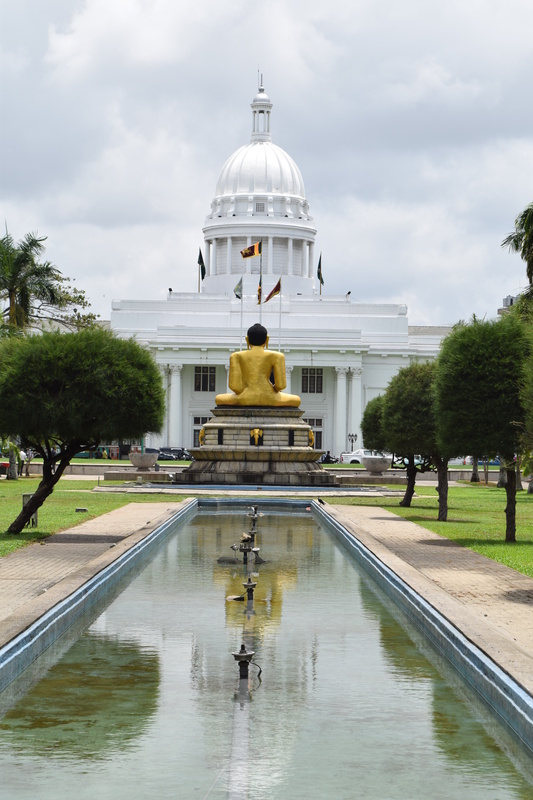 Having visited Southern India about 3 years ago, I was really buzzing about Sri Lanka. I’d heard nothing but good things about it and, if all else failed, I’d just sit and eat curry for 2 weeks. The immigration staff weren’t exactly cheery and Sri Lanka’s new e-visa policy seems a bit flawed (though I got a surprise stamp in my rather lacklustre new passport so I was delighted) but getting in the country wasn’t a problem. Airport staff are happy to point you to bus 187, which takes you to Colombo Fort for just 110 LKR. The airport is actually closer to Negombo than Colombo so taxis and tuk tuks cost a fortune. Unless you’re arriving late, the bus is the best option. It was big and yellow and parked near to the car park as you turn left out of the airport. Colombo surprised me with its ‘openness’. Colombo made an interesting first impression on me. On one hand, I could see flashes of India: the bustle, the chaotic bus station, the random cows frequenting the roads without a care in the world. But it was also very, very different. I hopped on another bus (with some difficulty given how rammed Colombo Fort bus station is) and saw wide pavements, big green spaces. The whole city seemed very open which I’d not experienced so much in India, neither North or South. My hostel, Lanka Hostel, was nice but very quiet and pretty removed from the centre. The staff were super friendly though and though nearby restaurants (or hotels as they were called in Colombo!) were sparce, there were a few small takeaway joints where you could get mammoth portions of curry and rice for LKR 200+. The price of food in Sri Lanka wasn’t quite as cheap as I expected but you get what you pay for with portions that could feed 2, 3 or maybe even 4 people. Also a weird thing seemed to be how rice was not an evening food. By the time night fell, every food place seemed to be out of plain rice and only had fried rice available – in huge quantities. I’d been craving good curry since nasi kandar in Malaysia so was delighted with the selection. Colombo as a city gets a lot of flack but I quite liked it. Perhaps it was the clear blue skies or the fond Indian memories as I wandered the streets, but it had a nice charm. I was very surprised at how modern parts of it were. Gangaramaya Park down the Colombo-Batticaloa highway conjures images of Singapore or Bangkok with its lush green trees and futuristic bridge arching over a huge body of water. Again, the frequency of open spaces just made it so much more relaxing to walk around. The gigantic Viharamahadevi Park is also a safe bet for a casual stroll under the shade of the trees. Much less shady but more iconic is Galle Face Green with its long promenade and choppy waves – definitely worth a look. I didn’t do much in the way of major sightseeing in Colombo, preferring just to walk the streets, browse in the markets, eat the food and soak it all in. I spent 2-3 days doing this and didn’t get bored. The perk of having my hostel quite far out of the centre was being able to wander in each day, meandering down streets and seeing what weird and wonderful things I’d stumble across. 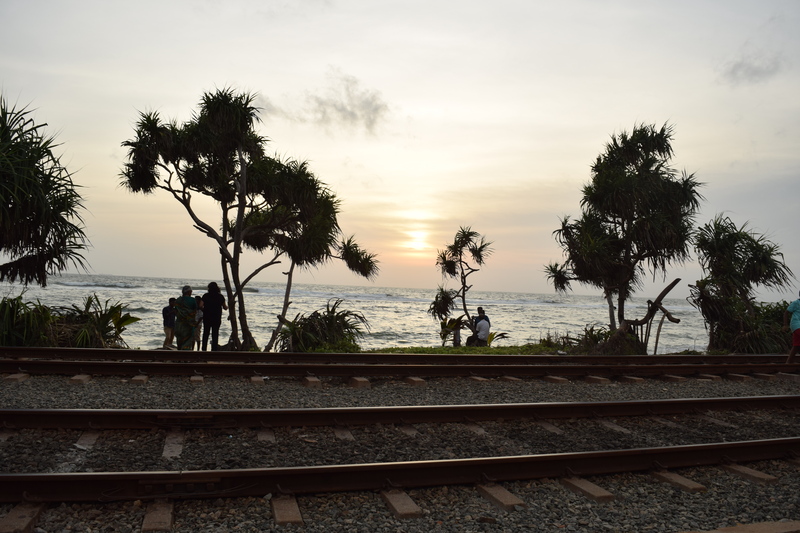 Where else do you have to cross a railway line to get to the beach? !